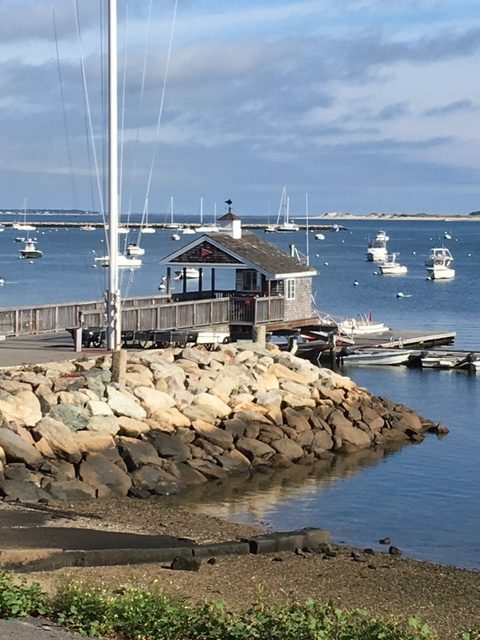 Plymouth Harbor has been welcoming guests for nearly 400 years, so it’s Plymouth Yacht Club’s pleasure to have you stay with us. As you may expect, there are a few rules and regulations about staying in the harbor, but the club is now happy to extend the option of booking your mooring reservation in advance, online. To rent a mooring, there is a $65.00 per night fee includes the use of the club facilities (Top Side Bar, showers, laundry, launch service, etc.). Pump-out services are available 24/7 at the Harbor Master pier and boat-side on weekends. We can accommodate yachts up to 45 feet (if your vessel is larger than that, you may want to contact our neighbor, Brewer Plymouth Marine). If you have not yet taken the step to reserve a mooring way of this website, know that mooring will be offered to you on an “as available” basis. Follow the channel to the inner harbor breakwater and hail the Plymouth Yacht Club on VHF Ch. 8 or call 508-747-0473 to request a mooring. While it may be tempting, please refrain from calling ahead while you are still out at sea, Gurnet Point or the end of Long Beach as mooring availability can not be guaranteed until you arrive in the inner harbor. Plymouth Harbor is, for many reasons, one of Massachusetts’ most popular places to visit, both land and sea. 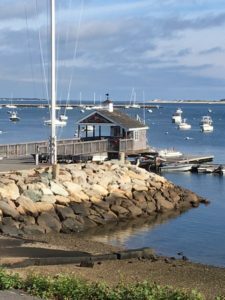 In the case of moorings, the number available for use visitors is very limited compared to other major harbors such as Nantucket, Martha’s Vineyard, Scituate and the like. As a result, if you are planning a cruise, it is a good idea to reserve your mooring ahead of time. We require 24 – 48 hours to process your mooring reservation request. Reservation Policy: There is no minimum night requirement, however, there is a seven (7) night maximum and we do require prepayment of all nights reserved in full way of Visa or Master Card. Note that reservations must be made three days prior to arrival (otherwise it is first come, first served) and blackout dates are July 2, 3, 4 & 5. Mooring Rates: Regardless of the length of your yacht (up to 45 feet) the mooring rental fee per night is $65. Note that this rate is inclusive of launch service, use of the Top Side Bar, showers, laundry and the 6.25% MA sales tax. While there is a limited dinghy tie-up area, use of the reliable launch is encouraged. For launch hours, visit the Resource Page. Note that a date change is considered a cancellation and therefore, subject to the cancellation policy. Arrival Procedure & Check-Out Time: Once at the inner harbor breakwater, please call Plymouth Yacht Club on channel 8 VHF radio during launch hours for help locating your mooring. Check-in time is 2:00 p.m. and check-out time is 11:00 a.m. unless alternate arrangements have been made.